Today was Day #3 of Chocolate and Spicy Pepper Theme Week. I bought this bar at a tea and gift shop (TWG Tea) while on a stroll through Vancouver, Canada. 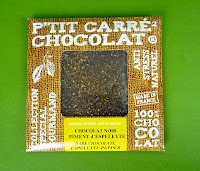 It took awhile to find enough bars with "pepper" to do a whole theme week with this ingredient. 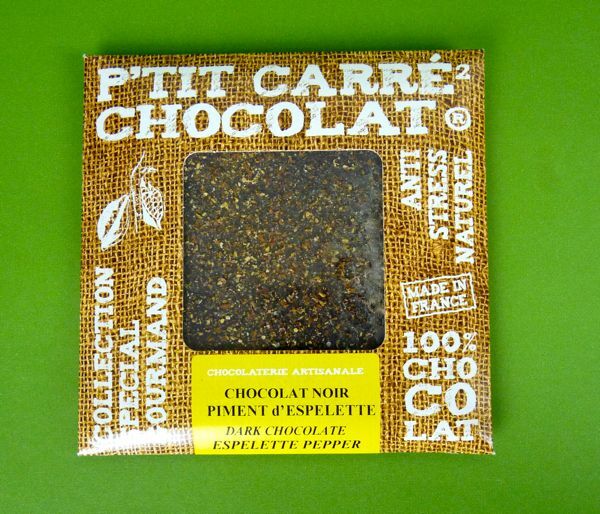 This 70% dark bar was made in France (and Imported to Canada by Desirs de Provence, France). The piment d' espelette was not particularly spicy; but it is did add some texture.